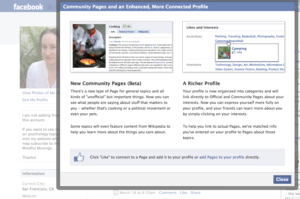 Another change that will affect everyone is the change to Pages. 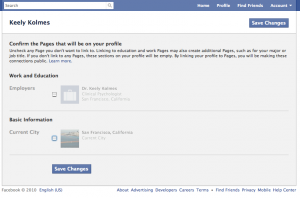 On people’s profiles, the Pages section will now be folded into Interests and users will be asked to convert Pages into Interests. Doesn’t sound like such a big deal, but here’s the kicker: Users who choose to convert their interests to “pages” will lose privacy control with the new changes. 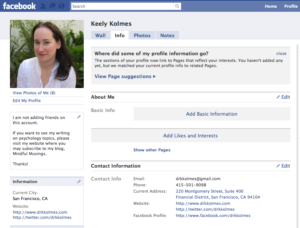 Many parts of users’ profiles, including hometowns, birthdays, education, religion and work interests would be considered “connections” if a user converts them, making them public to anyone. So what happens when you are asked to convert your Pages into Interests? Let’s take a look. 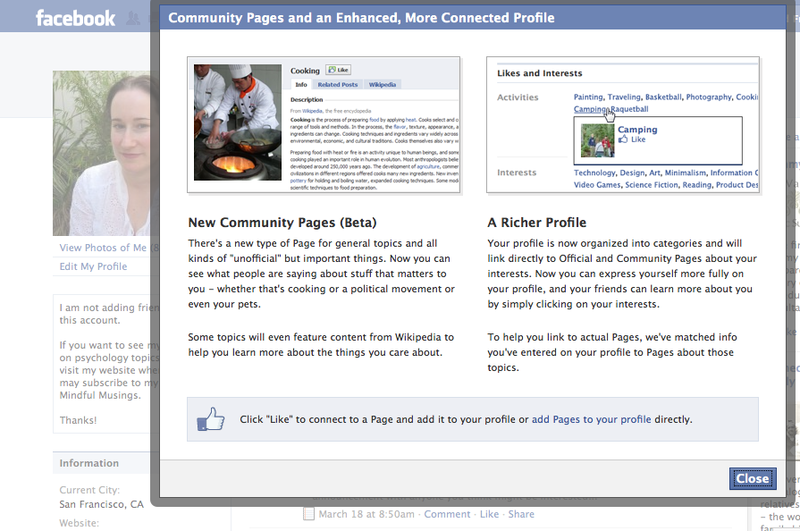 When I logged into my Facebook account last night, I was informed that they had “improved” the profile so that it links to Pages, and I was offered the opportunity to convert my Pages. I wasn’t given a No option. Simply Link All to My Profile or Ask Me Later. You can click on all images below to view larger versions. You’ll note that in the image, there is small print saying, Learn more. When I clicked on Learn More here is what I learned: I learned that this was a really great thing that was going to enhance my Facebook experience and make my life an overall happier place. 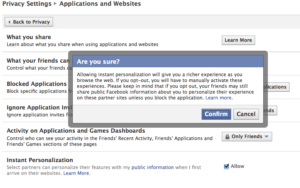 There was no clear or accessible information to learn more about a decision NOT to convert Pages or how to not have them show up or even how it might compromise my privacy to just go ahead and Convert All as I was being encouraged to do. In order to remove the Pages, I had to go at it sideways. I went back to my profile and selected Edit Information when viewing my profile. 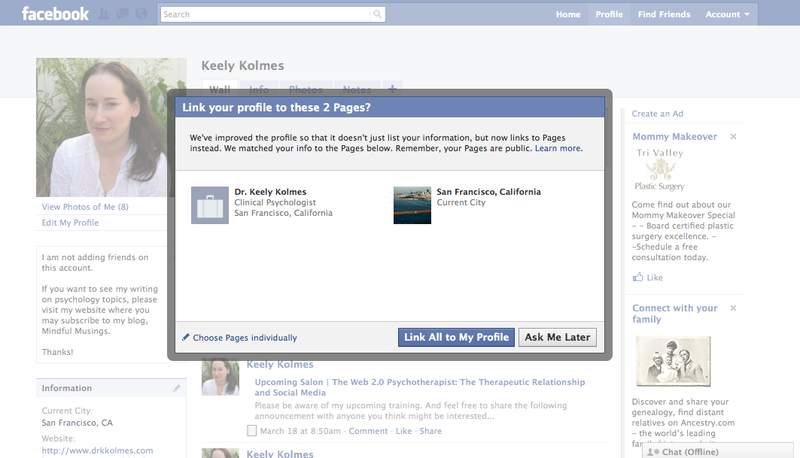 Here is where I was able to select or deselect the Pages and confirm whether I did, in fact, want them on my profile. 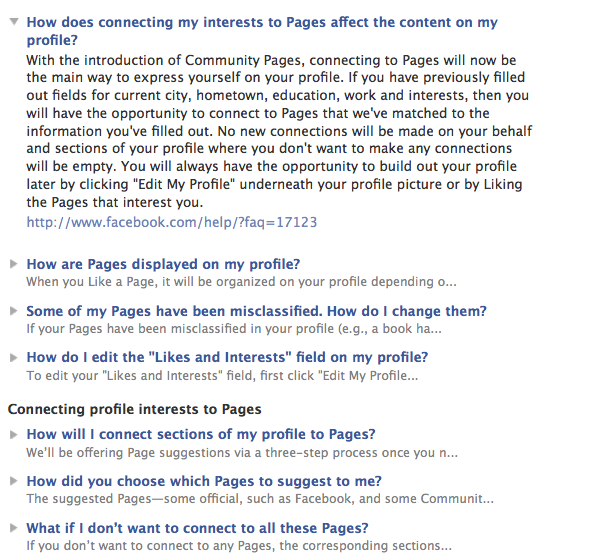 Since the privacy updates will now make you connected to others via a number of your interests, I unchecked the boxes next to these Pages, and was subsequently warned that this would create blank spots on my profile. Okay with me. 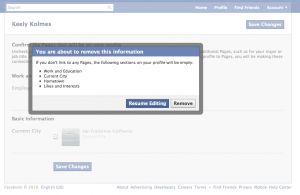 Back on my main profile page, I was given a message to explain why some of my information had disappeared. So where is this information to be found? If you click on Help Center under your account on the right side of the screen, you will be taken to the Help pages. 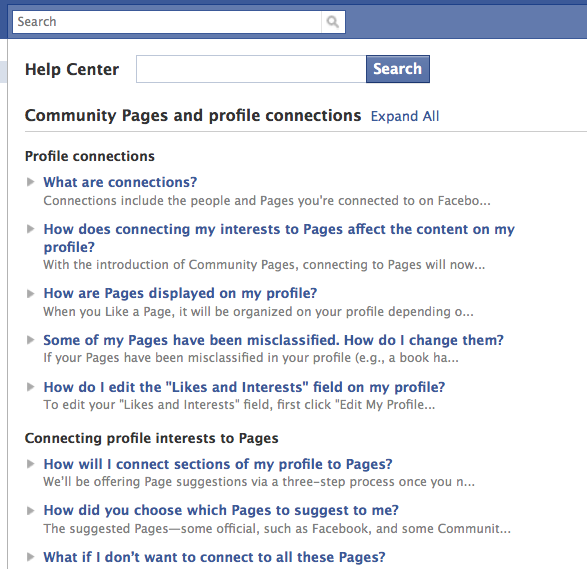 In the Help Center, on the far right, there is a statement about New Profile Connections and a link to where you can Learn more about the new Community Pages and profile connections. 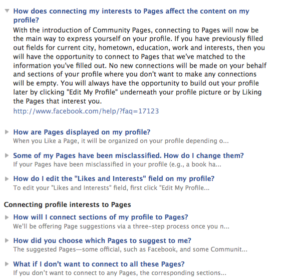 And of course, you can click on each topic to expand it, and there is the information about how this will affect the content on your profile. Lots of people use Facebook. But not everyone is tech-savvy. There are moms and dads on Facebook, young people who are not tech-smart, teachers, doctors, and just plain old people who care about their privacy now and then. Even folks who are tech-savvy shouldn’t have to hunt around for updated privacy information. So come on, Facebook. When you make changes that influence privacy, the very first pop-up we see when we sign into your site shouldn’t be a link asking us to Convert our Pages to Interests. It should be a link to how the action you’re asking us to respond to right now is going to affect our privacy. 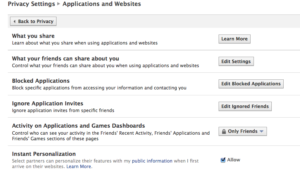 Some further changes to Facebook? 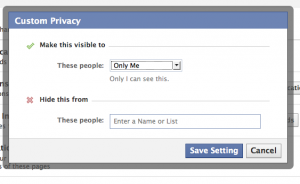 FACEBOOK is at it again…violating your personal information: As of today, there is a new privacy setting called “Instant Personalization” that shares data with non-facebook websites and it is automatically set to “Allow.” Go to Account > Privacy Settings > Applications and Websites and uncheck “Allow,” then confirm that you’re opting out. Please repost. 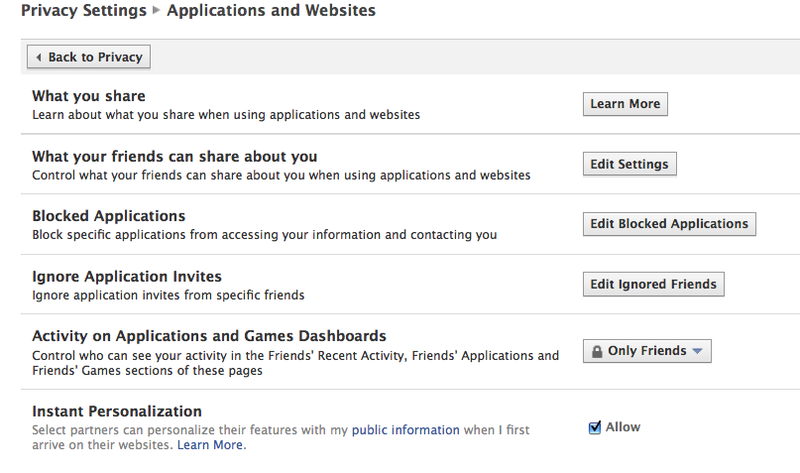 More information about how I may be depriving myself of a “richer” Facebook experience and the disclaimer that even opting out will not prevent my friends from sharing this information with others. Again, how come I had to be notified about this by my friends, Facebook, and not the service itself? Shady. If you’re a mental health professional trying to keep a low profile on Facebook, you might consider emptying your profile of information you don’t want to share with people you are not directly connected to. 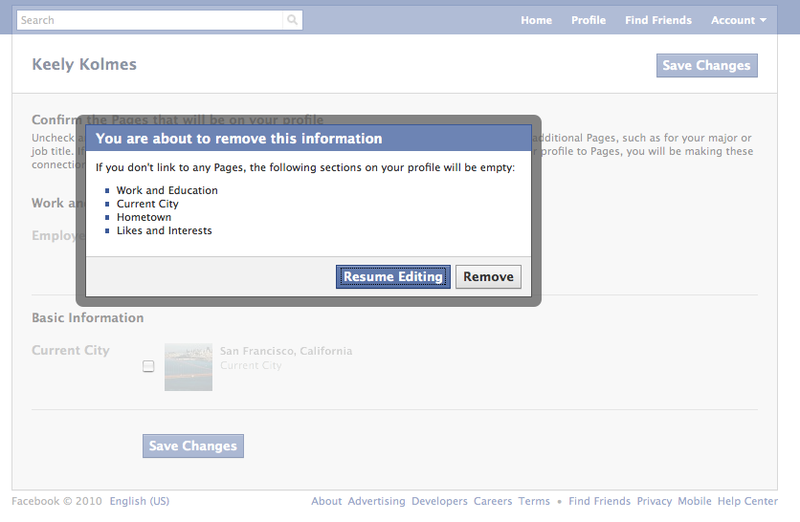 Or, you may wish to also remove Pages/Interests from your profile to reduce the likelihood of being connected to others. 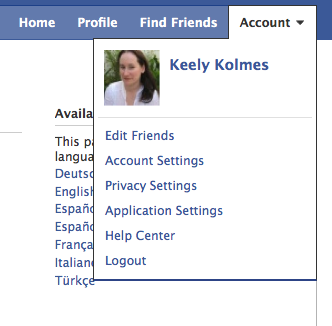 A new option is becoming available which allows you to hide this information on your actual profile–again something I discovered through active searching but not made clear to me at any point during login. 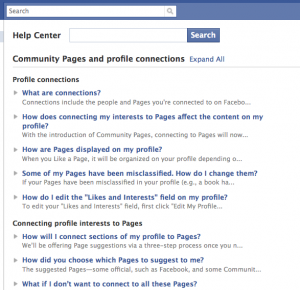 A number of folks are talking about committing Facebook suicide. 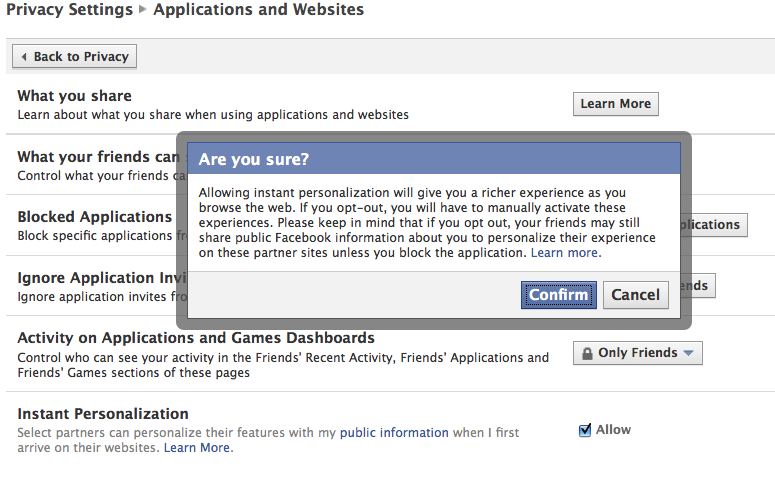 As we enter a new world in which our privacy is compromised without our notification, I can see the appeal. 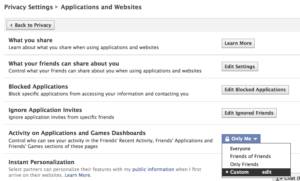 Kurt Opsahl at the Electronic Frontier Foundation also offers some detailed information on How to Opt Out of Facebook’s Instant Personalization. One last note from me. 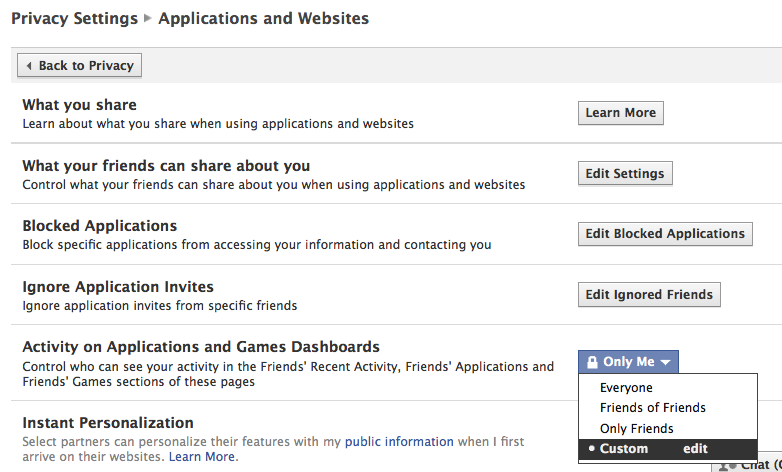 A lot of folks recommend that you choose “Only Friends,” for many of your privacy settings. As I say to my colleagues, when it comes to Social Media, I am equal mixes of conservative, paranoid, yet adventurous. 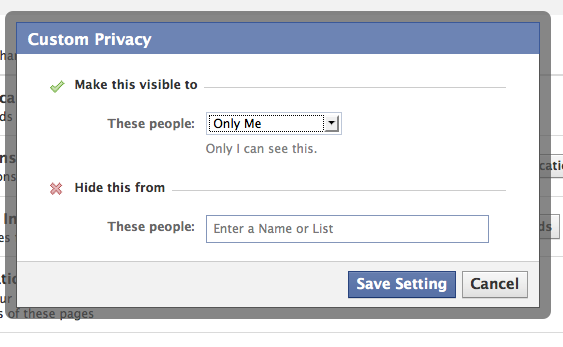 The paranoid part of me would like to recommend that you click on “Custom” for many of these settings and choose “Only Me,” for many of these settings if you really want to limit what folks can see on your profile. Why not? If they are really your friends, they know this stuff about you anyway, right?